Most people I know who love reading novels read at least two books a month. I could not, cannot do that. Excuses: (1) I prefer reading philosophical novels, which require more time (at least for my slow brain) to process, and (2) I have a job, a 4-year old son, and a husband and I do 95% of the housework. 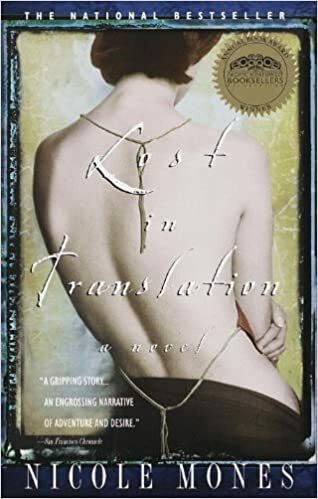 This summer I took a break from reading the Russians (or just Russian, Dostoevsky) and read three “contemporary” (meaning the authors are still very much alive) books – a memoir and two novels. It is quite interesting to me how I chose to read the two novels after the memoir, and only later realized that there seemed to be a link in the order in which I read them. 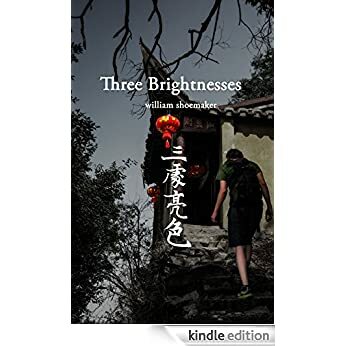 The first book I read was “Three Brightnessess: The Quintessential Story of Learning Chinese And Falling in Love in China – Over and Over Again” by William Shoemaker. I read it because I know the author, had invited him to my class a couple of times to talk with my students about his short stories which I had let my students read, and promised him I would read his first book. I enjoyed reading Will’s memoir because, having lived in China a long time, I can relate to the things he wrote about – the place, the people, the culture, what one can like or dislike about them. Several times while reading this book I laughed so hard, and I think that’s a good way to judge whether a writer is good or not – if he/she can make you cry or laugh. Will speaks fluent Mandarin, dated Chinese women, has Chinese friends with whom he can speak Mandarin. And yet, I don’t think he has ever felt at home or that he belongs. If you’re thinking of moving to China or are interested in China or the Chinese culture especially as it is now, read Three Brightnesses. The main character, Alice, being fluent in Chinese, works as translator in Beijing. She translates for an American archaeologist who is doing a research on the Peking Man. Being in China, the American archaeologist has no choice but to work with Chinese archaeologists, one of whom is Lin Shiyang whose main reason for joining the team is to be able to track his wife who was put in a labor camp in the northwest of China during the Cultural Revolution. Shiyang and Alice fall in love, but right after he finds out for sure that his wife died years ago in the camp, he also finds out about Alice’s promiscuities. But that’s not the ending. You will have to read it to find out how it all ends. It’s a story within a story, as the writer leads us to the story between Pierre Teilhard de Chardin and Lucile Swan in the early 20th century, and the love story between Alice and Shiyang in the 21st century. After reading this novel, I promised myself I would read The Phenomenon of Man. But I ended up reading Forty Rules of Love by Elif Shafak, which, just like Lost in Translation is a story within a story. The main character in the 21st century is a 40-year old Jewish-American woman, Ella, married to a successful Jewish man and together they have three children, the eldest being in college and the youngest in elementary school. 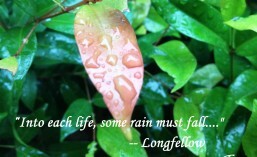 For twenty years she lived what seemed the peaceful and content life of the perfect wife and mother. But one day, she reads a book called Sweet Blasphemy written by a man called A.Z. Zahara, and this book changes her and her life forever. While we are reading about Ella and her life and her consequent meeting and falling in love with Aziz, we also get to read Sweet Blasphemy which is about the spiritual friendship between two Sufi mystics, Rumi and Shams of Tabrizi. In the novel, Ella’s new life entails leaving her husband (he was cheating on her anyway), and her three children, to be with a man she just met and whom she “loves”. 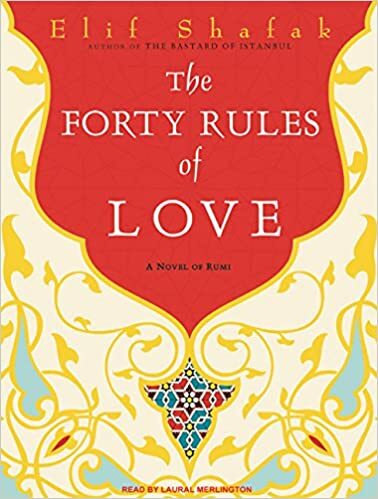 I put love in quotation marks, because even after reading the novel and Sham’s Forty Rules of Love, I do not consider passion as love. How can you truly love somebody you just exchanged emails or text messages with? To finally meet that person and find he is even more interesting than the one you have been texting with may be very exciting indeed, but excitement does not equal love. And finally I cannot see any justification for leaving one’s children to pursue one’s happiness. Perhaps if the children are old enough to live without both parents. But for little children, I can only imagine the difficulty of growing up without both parents to guide you and make you feel secure in this world. But I have to say this, leaving a philandering husband is perfectly fine, (also the husband who forgets his wife’s birthday and their wedding anniversary, yeah!) I salute women who do so. That said, I am grateful for this novel for introducing me to Sufism. I promised myself I would read more about Sufism, after reading about Pierre Teilhard de Chardin and the Phenomenon of Man, that is. 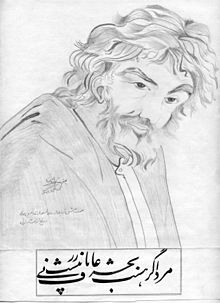 This entry was posted in Novel, Thoughts and tagged chinese culture, Elif Shafak, heartache, life, loss, love, mysticism, Nicole Mones, Rumi, Shams Tabrizi, sufism, William Shoemaker. Bookmark the permalink.